Jeroen Rademakers is a student of the Masters program New Media and Digital Cultures at the University of Amsterdam. He grew up in Heerlen (Limburg, Nederland) and studied Arts and Culture at the University of Maastricht with the specialization of Media Culture. His passions are new media and music. He used to have his own weblog, www.convictie.nl and writes music reviews for the Dutch webforum www.fok.nl. A thirteen-year-old child walks into the music classroom and recommends the guitar teacher a song of an independent, French punk band. The teacher listens to the song on YouTube and concludes that it is a bit too fast. The teacher puts the song in a program to slow the tempo down and records a movie of the most important hand positions. A week later the student made a lot of progress. 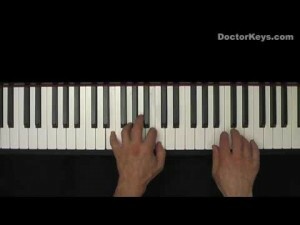 The student watched the recording several times and adjusted the tempo step by step. Now she is capable of playing the song in the original tempo. New media changed the process of music teaching completely. Less than ten years ago there were no computers in every classroom, cell phones did not have cameras, and applications like YouTube were not even invented. I am interested in how the introduction of new media changed the process of teaching music. 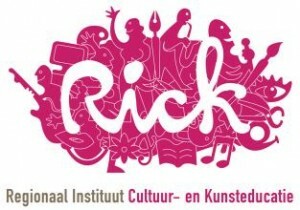 To understand the implications of this transition I did an internship at Rick, Regionaal Instituut voor Cultuur en Kunsteducatie in Weert. Rick is an public institution where professional musicians, poets, writers, artists, dancers and photographers teach children, adults and seniors in their favorite discipline. After a short introduction of my study design I will examine the most important and striking results of my research in this blog post. During three months I tried to find an answer on the question How are new media used by musical teachers and what are the implications of this use? Rick introduced the new media, iMacs; iBooks and iPads, only two weeks before the start of my project. This gave me the opportunity to observe the use of new media in an early stadium. The research was divided into three parts. At first ethnographic research was done to observe seven teachers for about two or three weeks. In order to get the most interesting results I set up only three conditions. The first was that all teachers should have access to new media. To get a realistic overview intensive use of new media was not required. The second condition was a proportionate distribution between teachers of classical instruments and pop instruments to study the differences between these two directions. I was not only interested in differences between the directions in general but also for one specific instrument. For this reason I studied a classical keyboard teacher and a teacher in popkeys. The diagram below gives an overview of all the observed teachers. The second part of the research project was conducting qualitative interviews with the observed teachers. During these interviews I confronted them with my observations and asked them to explain certain choices or actions. The last part consisted of questionnaires for the observed students. The reason for these questionnaires was to varify my personal observations. Because Apple is the favorite in the art scene, Rick purchased Apple products. However only two of the observed teachers were using Apple products so far. This unfamiliarity resulted in some problems. What was striking was that the teachers who were used to Apple products choose another approach to solve the problems than the teachers who were unfamiliar with Apple products. When teachers unfamiliar with Apple encountered a problem their first reaction was to ask their students for help. When the students were not able to solve the problems, the teachers ignored the new media and continued the lessons. The Workgroup New Media of Rick stated that teachers had to explore the new media. The teachers, on the contrary, declared that they had no time for this. Instead of getting more experienced with the new media the teachers got frustrated and suspicious. Teachers who were familiar with Apple products had another approach. Instead of ignoring the new media and going on with the lessons, they tried to solve the problems. During the observations of teacher 2 I noted four problems. Three of them took five minutes and one even ten minutes to solve it. The teacher lost a lot of precious time because lessons last only twenty minutes. One of the sub questions of the research was to find out whether there are differences between the use of new media by teachers in classical and popular music instruments. Based on my observations the use of new media did not depend on the instrument but on the personal style of the teacher and the personal knowledge and interest in new media. There was only one slight difference. Popular music teachers introduced YouTube and other new media earlier in the program than their classical colleagues. During the first lessons they showed movies to trigger students. “This is the result when you practice a lot”, one teacher said to trigger the new students. The classical teachers started to play-along some basic etudes with CD because the etudes were not available on YouTube. The most common used application was YouTube. Six of the seven teachers used YouTube intensively and stated that the broadcast platform changed the music lessons. YouTube has an enormous database of popular, alternative and unknown music and rare material. Teachers and students are able to learn from each other and to watch extended or live versions to gain new inspiration. According to the teachers this stimulates students to figure out what they want to play and triggers them to find out new bands and music. This gives students the opportunity to participate in their own curriculum. 74% of the students declared that the use of YouTube made the music lessons and the process of practicing easier and more fun. Students were able to play along with the music and to watch the video’s at the same time.The results on the question of more fun also increased the amount of practicing was most surprising. Only 8.7% of the students was triggered to practice more. Most teachers as well as the workgroup were surprised by this result. The introduction had a positive effect on the actual lessons. Although 83% of the students said that new media made the lessons better and more interesting and fun. As showed above this had almost no effect on the behavior of the students outside the classroom. Recording students was another common used aspect of new media. The teachers had several reasons for this. Teacher 4 for example made audio records of her students. After recording they listened to the recording and tried to discover wrong notes. According to the teacher this approach creates self-awareness and gives students the opportunity to correct their own work. This protects the students from rehearsing the same faults over and over again. Other teachers made video recordings to provide their students with visual documentation. Another example is teacher 2 who made photos and videos of his hand positions. By providing students with visual documentation they had the opportunity to consult the correct hand position whenever they wanted. I asked the teachers if this method did not prevent their students from remembering the hand position? All teachers were convinced that the visual documentation created awareness and trained them to envision the correct hand positions. As noted above new media did not increased the amount of practicing. Make new media lessons only more fun? New media are a very efficient and important addition to the process of music teaching. Although it does not influence the amount of practicing, it gives new opportunities to educate students. Cameras, YouTube, digital metronomes and software like Q base and Garage Band provide teachers with alternative methods. This allows them to focus on the specific wishes and needs of every individual student. Both teachers and students state that new media did not change the lessons dramatically but they provided new methods to make the lessons better and more efficient. And yes, more fun!